The last news about Hairspray 2. Watch the movie trailer soon. No sure Hairspray 2 is still on track. 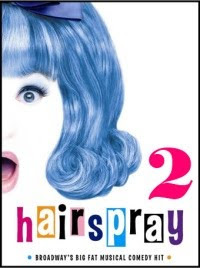 But I hope that Director Adam Shankman will find a way to develop the sequel, because from what I heard of the potential story of Hairspray 2 it could be yet another hit. - Tracy (Nikki Blonsky) is hated because she’s now famous but doesn’t lose weight. 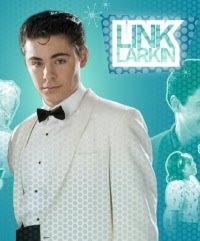 - Link (Zak Efron) gets a mop-top Beatles hairdo and tries to masquerade himself as a member of the British Invasion in an attempt to remain hip. - Edna (John Travolta) gets hooked on diet pills, actually loses weight, but sees her husband (Christopher Walken) lusting after fat women. Shankman told MTV, "she finally breaks down and runs over to a snack table. Just within one number, she gets fat again; gaining 20 pounds at a time. Her fat pops out, and by the end of the song she’s completely at her old weight again." - New Line/Warner Bros has yet to official announce any actors/actresses for the sequel, but they have said that they hope to keep most of the original cast. "The treatment is crazy, it's amazing, but it’s crazy. There are things in there that I was like ‘Can we do that?’"